My 15 month old granddaughter was diagnosed with NF1. I would like to speak with other grandparents or parents about their journey. While I have a form of NF, I do not have any children or grandchildren with NF. I’m very active with advocacy for NF and may I offer some sources of support. The Children’s Tumor Foundation (CTF) for information on NF and to interact with through their Facebook page. CTF has a chapter in each state (inc. MN) that you can join. There is sharing on the Chapter FB page, and sometimes activities to join in. There is Neurofibromatosis Midwest and NF Inc. MN. The CTF has a FB page called Mom’s Rock and Dad’s Rock where parents and grandparents can share, ask questions and comment. 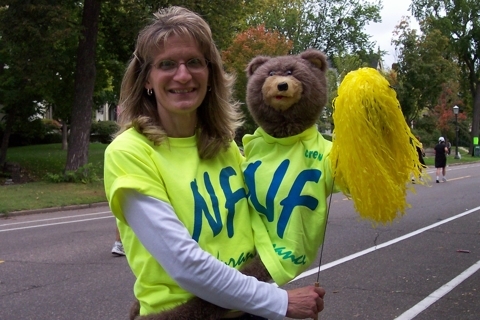 The littlest tumor foundation WI has many activities for parents and grandparents with children who have NF. As a CTF NF Endurance Team Captain, I have met many parents with a child with NF, perhaps I can be of some small source.